We all know that dreaded feeling. The ugh in the pit of your stomach when someone asks, “So, what do you do?” at a party, meetup, or networking lunch. It is NOT our favorite question. At the beginning, when we were still on our RTW bike journey, it was the incredulity and/or sarcasm that followed that really got to us. No people. Nooooo. Nope. No. The 14 year old girl from a remote village in Guatemala who trekked for 4 hours in the morning since 4 am, crossing the lake, and a few mountains along the way, so that she could get to school and become the first female in her entire family ancestry to get an education. A 30-something year old man who is a high-performing lawyer in one of the top law firms in Mexico City by day, and then walks the streets of the same city, perfecting his fire juggling act in the middle of crossings at night. 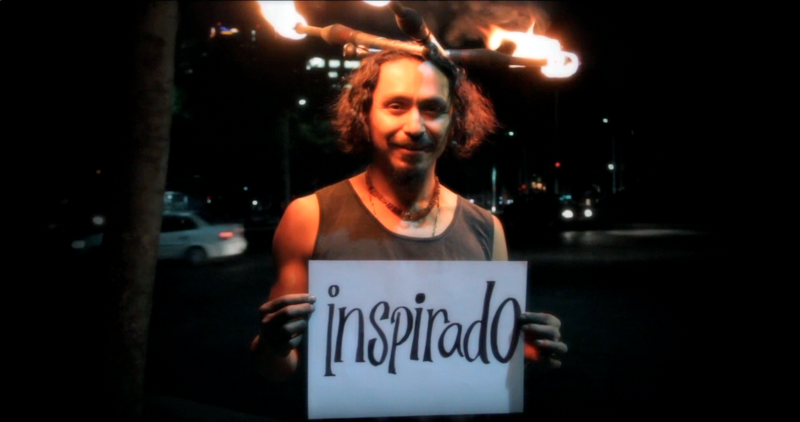 His dream was to gather all the street jugglers around the world and perform together at a convention in el Zocalo of the city – so that they could connect, exchange pointers, and share skills of the trade – like real craftsmen would. A year after we met, he realized his dream, and went full time into fire-juggling as a vocation. The successful business owner who, at the height of her first pregnancy, decided to quit her 6-figure career and start her own business, so that she can inspire her kids to live the lives they want. Of course, we didn’t reply the nice folks we’d just met with these retorts. We simply smiled meekly and immediately tried to blend into the walls behind us. We were still in new social settings. We were still meeting these people for the first time. “It” = all of us. Who we are, what we’re doing, where we’re headed towards, how we’re getting there, and why so. But first, we had to stop. We stopped belittling ourselves and the impact we were set on making on the journey. We stopped looking at what we were doing through the lens of incredulity. We started believing… in ourselves. We stopped feeling guilty about leaving our “good” careers; and consequently, the good lives we were supposed to be providing for our parents, our families behind. We stopped hiding in the shame of being unfilial by society’s standards. We started making peace with ourselves… and later with our families. Because we believed in ourselves, we began meeting people who believed in us. Because we made peace within ourselves and our families, we began connecting with kindred souls we now call our global #soulfamily. And because we became more of ourselves, more of us was seen. That, is what “own it” means. You’ll wanna join our Propel Your Purpose wait list here. We’ll be sharing more of how exactly you can #ownit – yesss, all of you. When you allow more of you to show up and be seen – what is possible? Find out for yourself when enrollment reopens.